Four local bands and one band who is, um, not so local will soon rock the stage at BT. On Oct. 4, Basement Transmissions will be putting Erie, Pa. back on the map for the music world. Or at least the metal music world. 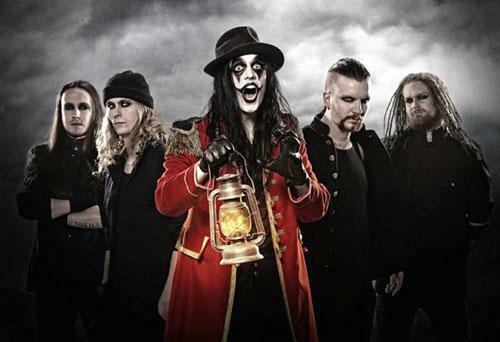 Hailing all the way from Sweden, the metal band Avatar has made tour stops all over the globe, including the UK's prestigious Download Festival as well as Rock on the Range; soon they'll be adding good ol' Basement Transmissions to the list. Avatar is known for their theatrical performance – a self-described freak show, complete with costumes, face paint, wild stage presence, and a sound that fits somewhere between a rock opera and classic black metal that the Scandinavian region is known oh-so-well for. Their 2014 album Hail to the Apocalypse was their first to chart in the US, peaking at No. 97 on the Billboard 200 and also hitting top spots on several other US charts. Supporting the bill are four local metal and alt-rock bands – Erie's own Kevlar, Saevitia, and Jivian, as well as Never Fire from Meadville. These bands have been making rounds in the local circuit and aren't strangers to playing with international acts, having also played the sold-out Crown the Empire show on Sept. 11. It's not often that bands come all the way from another continent to play at a place like Basement Transmissions, so don't miss this chance to see some something out of the ordinary and get a taste of what the outside world (of metal) has to offer. Doors 5 p.m., Oct. 4 // 145 W. 11th St. // Tickets (available at brownpapertickets.com/event/821965 and at BT) are $10 presale and $12 day of the show.